There is a certain kind of shock that follows an act of violence by an extremist group. In the case of Charlottesville, this shock stems from the realization of the widespread prevalence of these extremists. Through the attacks in Barcelona, we see how effective radicalization has become, and how it has a global impact. While these events are very different, both act as wake up calls to the division we face. 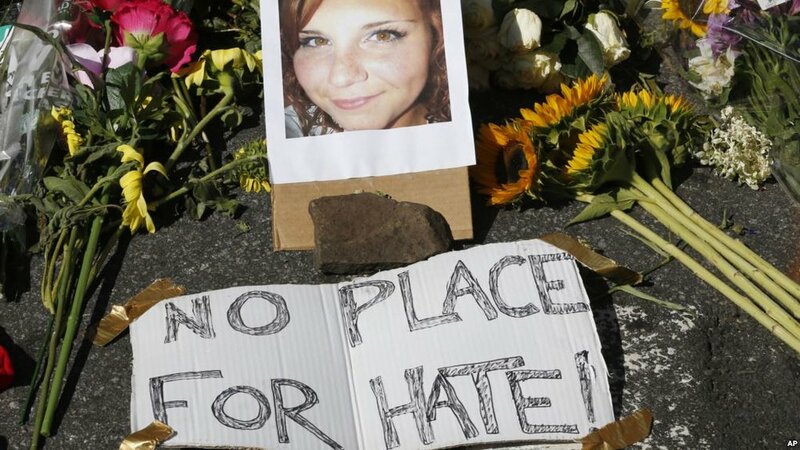 In America, Charlottesville jolted those of us with the privilege of not encountering the hate and bigotry felt by marginalized groups especially. How do we heal? What can we do to mend the ideological divides and racial discrimination so deeply woven into American society? It took immense pressure for Donald Trump to send out his 140 character call to “heel”. However, the differences between Trump’s message and the real healing that must occur go far beyond a spelling error. Healing does not mean what Trump seems to suggest: forcing together cracks in the American facade with duct tape to preserve the status quo. Healing means progress, and progress starts with acknowledging the problem, engaging in educated dialogue, and then taking action. Dialogue matters–forming diverse human connections in the process of grappling with challenges is the foundation of society. In order to heal, we must educate each other, support those we find common ground with, and listen to those we don’t. Understanding is not agreement. You can detest the man chanting ‘white lives matter’, but it is important to hear him, understand why he feels disenfranchised and has resorted to hate, and exemplify the compassion you want in return. Nuanced and widespread dialogue in communities will lay the foundation for sustained healing if we continue to expand such initiatives. And we must do so, for those who are directly affected by bigotry every day, and for the general health of the society that holds us all accountable to each other. Leif Maynard is program associate at Critical Connections. He is a rising junior at Amherst High School, where he co-leads a group advocating for Syrian refugees. He is particularly interested in foreign policy and cross-cultural understanding, and is excited to work on promoting nuanced dialogue in the community.